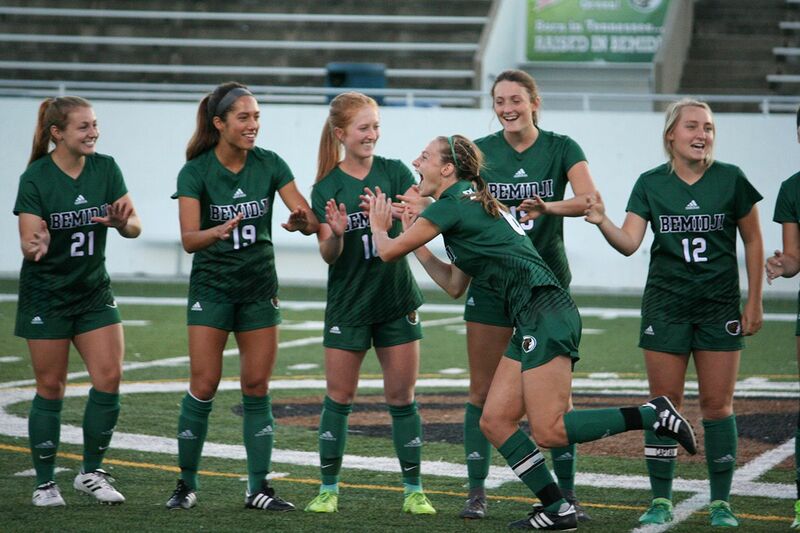 Since the beginning of the 2018 season, the Bemidji State University soccer team has gone from receiving votes in the first week of the season to #22 last week. This week BSU is ranked 14th in this week’s United Soccer Coaches NCAA Division II Women’s Poll. BSU also jumped one spot to No. 2 in the NCAA Division II Central Region Poll. The Beavers recorded a 1-0 victory over NCAA Division I University of North Dakota Sunday to improve to a 4-0-0 record this season. The Beavers are one of two teams from the Northern Sun Intercollegiate Conference who were voted among the top 25. Minnesota State University, Mankato (2-1-0) is ranked 17th. BSU, 4-0-0 overall and 1-0-0 in NSIC play, returns to conference play at 3 p.m. Friday versus St. Cloud State University. Opening kick is set for Chet Anderson Stadium. Tune into those two games on the Beaver Radio Network & KPMI 1300 AM The Legends beginning 30 minutes before kick off.